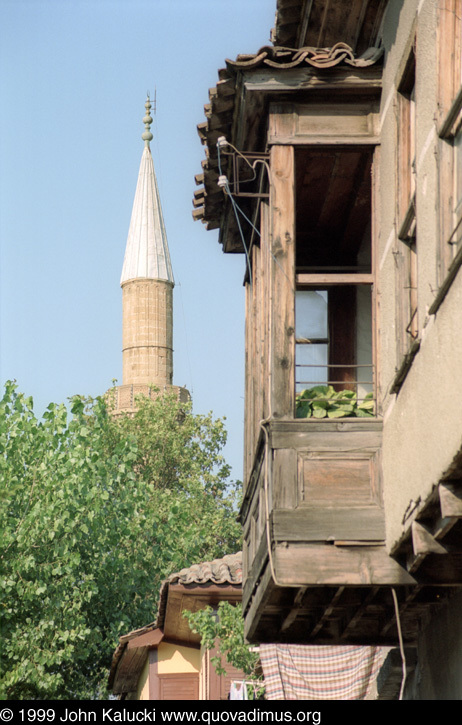 An Ottoman bay window (for lack of a better term) frames a minaret. Note the old wiring scheme on the house. Open insulators and stapled cloth-insulated wire. Nice!